PM Modi said that Urjit Patel requested to resign on personal reasons, adding that there was no political pressure on him. New Delhi: Prime Minister Narendra Modi on Wednesday said that the demonetisation drive announced by him on November 8, 2016 was not a shock as the government had warned people having black money a year ago. “This wasn’t a jhatka (shock). We had warned people a year before, that if you have such wealth (black money), you can deposit it, pay penalties and you will be helped out. 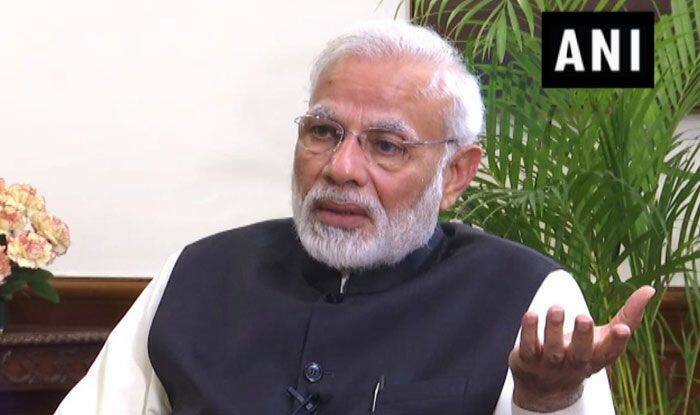 However, they thought Modi too would behave like others so very few came forward voluntarily,” said PM Modi, in an exclusive interview to news agency ANI. On the second anniversary of demonetisation in November 2018, the Congress, along with other opposition parties, had launched a scathing attack on the Modi government for introducing the scheme. Responding to criticism over surprise resignation of Patel as RBI Governor, PM Modi said that the former requested to resign on personal reasons, adding that there was no political pressure on him. “He himself requested (to resign) on personal reasons. I am revealing for the first time, he was telling me about it for past 6-7 months before his resignation. He gave it even in writing. No question of political pressure. He did a good job as RBI Governor,” said PM Modi. Patel, who served as India’s 24th RBI Governor and was appointed for a term of three years starting September 4, 2016, resigned abruptly last month, citing personal reasons.